"I want to download 3D videos of YouTube for free. What software or extension can help me? Besides, why are all 3D videos on YouTube not anymore stereoscopic but with blue and red layers? Am I at the right place? How can I download and watch 3D (360 degrees) YouTube videos on desktop Chrome?" 3D is actually not something new for us, which however just really penetrate into our daily lives in recent years. Yes, we've watched 3D movies in theater (IMAX), but guess you didn't imagine of downloading 3D movie videos online from sites like YouTube for watching at home back there. There it is. 3D videos are hot and available everywhere. There are long list of 3D video clips and channels on the biggest online video site YouTube. But how to download YouTube 3D videos? And then how to watch a 3D movie video on desktop computer? Should you use 3D glasses? The very thing I'm pretty sure about is that with a 3D video downloader, downloading YouTube 3D videos will be amazingly easy. Free download 3D movies, 3D videos, 3D 360 VR videos from YouTube, Vimeo, Dailymotion and similar sites (300+ in total) at a super fast speed while keeping original quality. There are browser plug-ins and online video download sites that can help saving 3D videos. But personally, out of the countless online video download experiences, I would take free video downloader software as the first option to choose, for there are always sites down/crash things (ClipConverter.cc not working). Being a totally safe freeware, WinX YouTube Downloader is well-received widely by Windows (10/8/7/Vista/XP) users to free download online movie/music videos, such as 3D Hollywood/Hindi movie videos, 360 VR videos, 4K video clips, etc. Better still, it supports downloading video from 600+ sites, like YouTube, Dailymotion, Vimeo, Metacafe and more. Besides, fast downloading speed will be a good-enough bonus. > Download WinX 3D YouTube Downloader and get it installed on your Windows PC. > Launch the program and click "+ link" button in the top left corner. > Then turn to the 3D downloader, fill in the blank space, and then click "Analyze". > Seconds later you will see a list of output options, incl. resolution, format, size and code. > Choose the one good for you and click OK to move on. > Browse to change the Target Folder if necessary. > Hit button "Download" to run the 3D movies free download from YouTube. Download Hollywood/Bollywood online movie/music videos in 3D, 360 VR, Blu-ray, 720p and 1080p HD/4K/8K, as well as TV shows from YouTube, Vimeo, Facebook, etc 600+ sites. 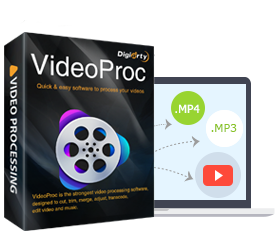 Convert videos to MP4, MKV, AVI, MOV, WMV, MPEG, iPhone, iPad, Android, Windows Phone on PC/Mac at No.1 fast speed, making you feel free to output a best-balanced video file. Do you want to free download 3D videos on Windows 10? Get the best answer here. This post will tell you how to download 3D videos movies on Windows 10 free from YouTube for playing on 3D TVs or other gadgets. 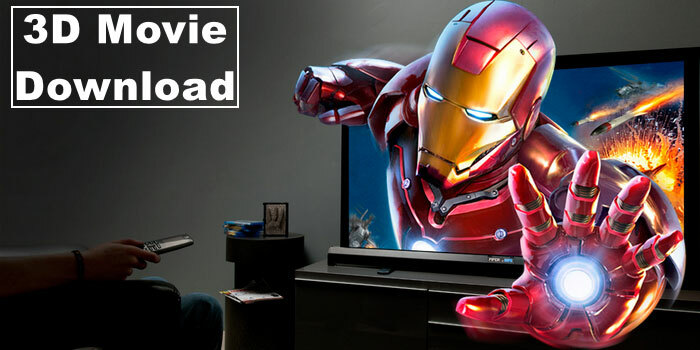 Pick out the best free 3D video downloader for Windows (10, 8, 7 etc.) to download 3D 1080P/720P HD MP4 videos from websites for later playback or editing. How to get 3D animation/cartoon movies free download in 1080p/720p HD/4K on PC/Mac for playback on iPhone, iPad, Android mobile devices? Here's a useful guide.